Community Pharmacy Scotland (CPS) has called for "flexibility" around how pharmacies are supervised, to ensure safe supply of medicines "in the absence of a pharmacist". In its new vision for the sector – launched at a CPS event yesterday evening (September 20) – the representative body said it "recognises the need to adapt practice" in the "changing [pharmacy] environment", and called for "professional judgement to be exercised in the safe supply of medicines". "Decoupling" the pharmacist from supply will "allow their full clinical skill to be devoted to a patient-facing informative role", it explained. CPS's new vision comes a week after C+D exclusively revealed that detailed proposals for pharmacy technicians to be handed legal responsibility for supervising the supply of prescription-only medicines (POMs) have been submitted to a Department of Health programme board. A working group, established by the UK’s four chief pharmaceutical officers, also suggested amending legislation to allow a pharmacy technician to, in the pharmacist’s absence, undertake the “supervision role” of determining when medicine supplies can go ahead and “overseeing the activities of other, non-regulated, pharmacy staff”, according to confidential documents seen by C+D. CPS said in its vision statement that to "allow [pharmacists] to interact with the patient and the wider primary care multidisciplinary team", "the pharmacy support structure will have to perform the supply accuracy check". "For some pharmacies, this will be delivered using technology alone, some with staff only, and some with a hybrid approach," it explained. "The dispensary team employed in this model will have the ability to oversee the accuracy of the supply process." Speaking exclusively to C+D before the launch of the document, CPS director of operations Matt Barclay said that pharmacists "need to work differently in the future", so that community pharmacists can offer more services to patients. "We need to make the best use of skills," he stressed. There are different ways to achieve this, including using technology as an "enabler" and "up-skilling and optimising the pharmacy team", Mr Barclay added. Mr Barclay recognised that the proposals to allow pharmacy technicians to supervise medicines supply was one side of a “hot debate”, and stressed there is no suggestion by CPS that pharmacists be detached from pharmacies. "The actual board strategy day [where the vision was drafted] was very animated. It was not taken as: ‘Yeah, this sounds like a good idea, let’s just go and do this'," he told C+D. "My board [is] trying to say that we should be open to looking at different models – but very much with the pharmacist being attached to the pharmacy…and they would have overall accountability and control for the operation of the pharmacy." Mr Barclay told C+D that elected representatives from nine independent pharmacies and six Company Chemists' Association (CCA) members were consulted during the board's strategy day. Feedback has also been sought via "other forums", he said. Following publication, Mr Barclay said there would be further engagement with CPS members and politicians, in order to feed into the Scottish government's wider strategy for community pharmacy, which was announced last month. Read the full vision statement here. Do you agree that pharmacy supervision legislation needs to be more flexible? Speaking exclusively to C+D before the launch of the document, CPS director of operations Matt Barclay said that pharmacists "need to work differently in the future" . Yes they sure will! Not a pharmacists but perhaps as brick-layers, Uber drivers, Amazon delivery drivers? We give great service for many years. No problems but we are doomed because they want a robot service. Evidence based suggestion is it? Any clinical studies from any other country supporting the proposal? At the very least do a small scale longitudinal trial and monitor outcomes before you put patients at risk. No? Yeah, so it is only about the money then, isn't it? 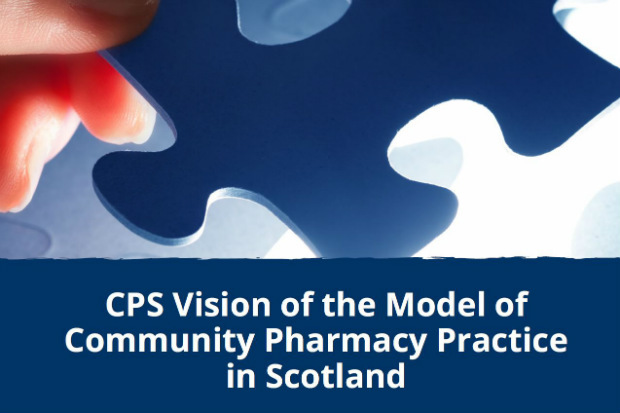 "CPS want to see this vision realised and is willing to work with Scottish Government colleagues to devise a financial model that meets our aspirations and provides a fair return on pharmacy owner investment." It's really all about money then?